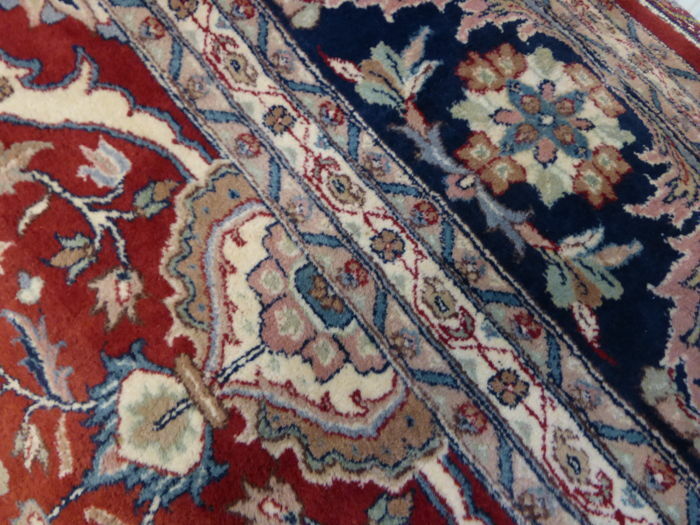 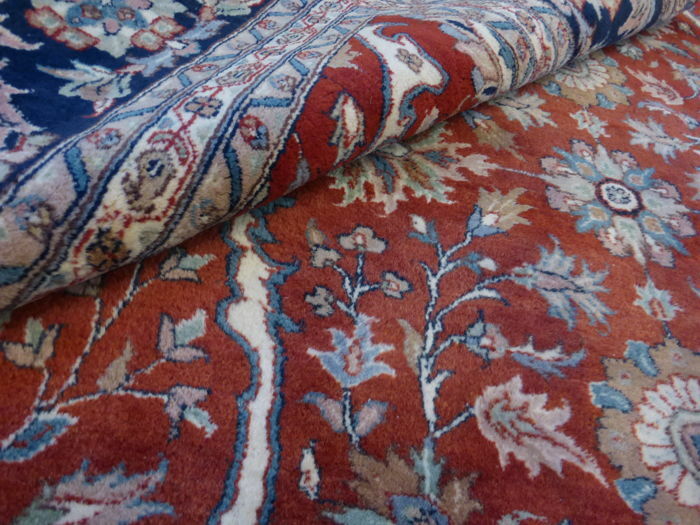 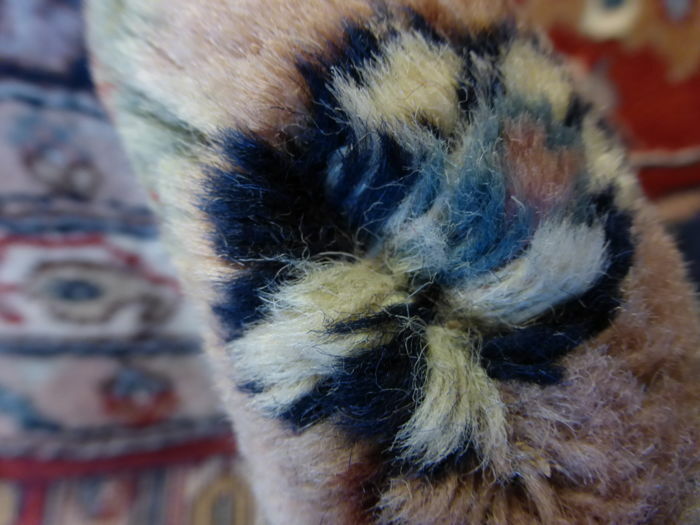 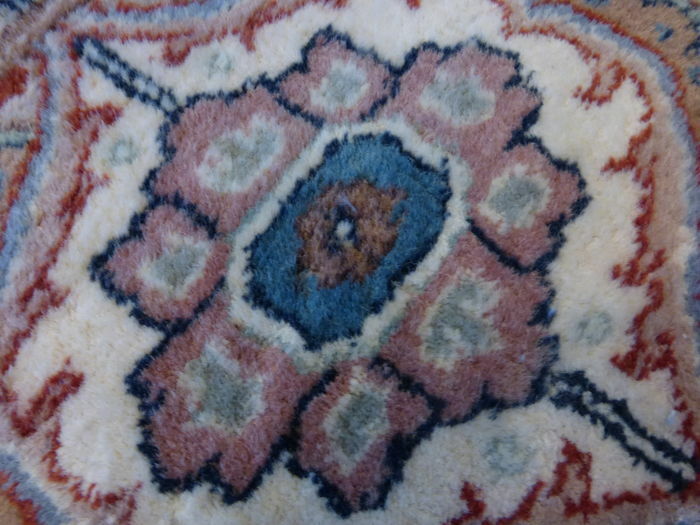 You are buying a used rug, which acquired its true character through natural ageing. 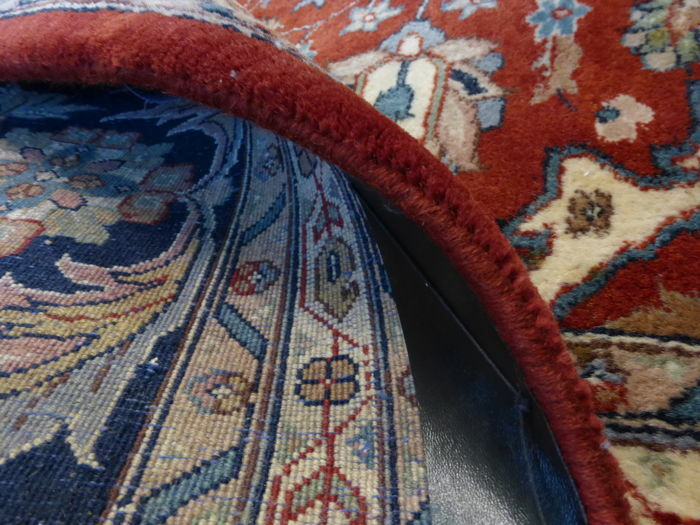 The rug will be there for you to enjoy for many years. 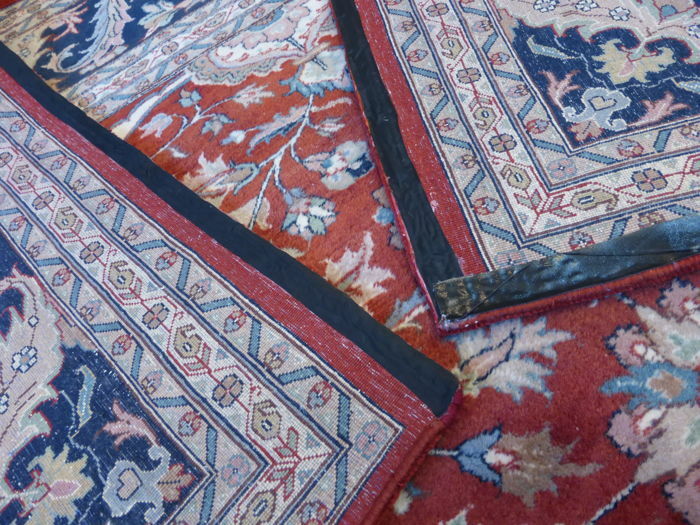 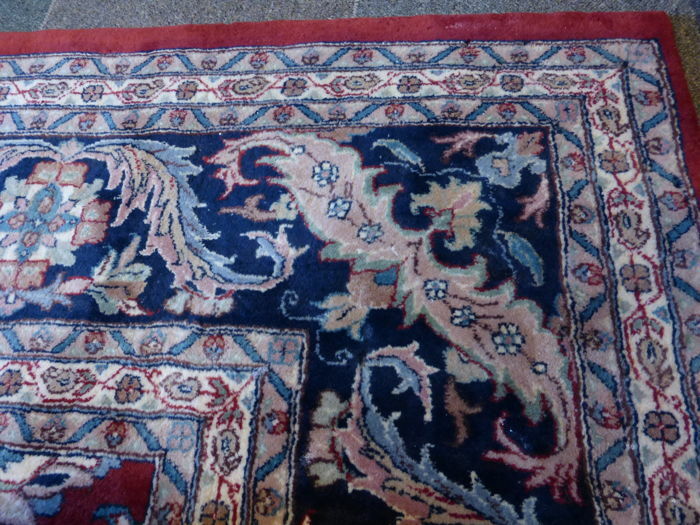 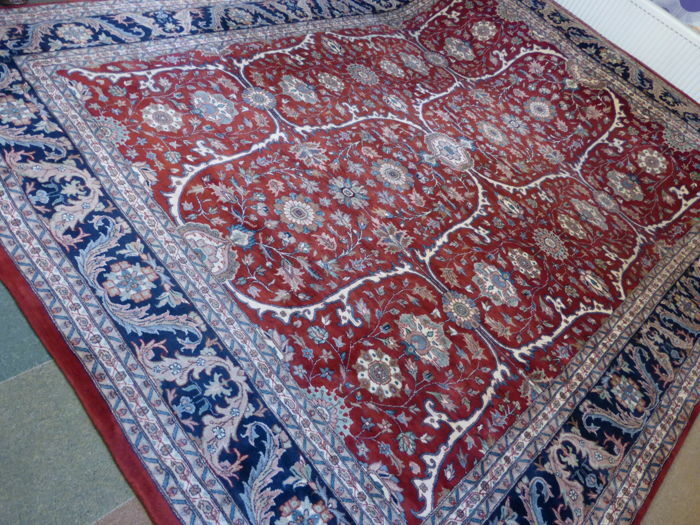 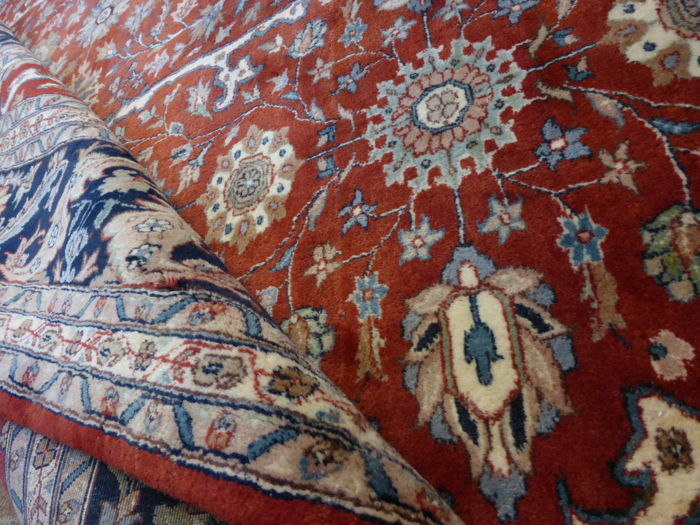 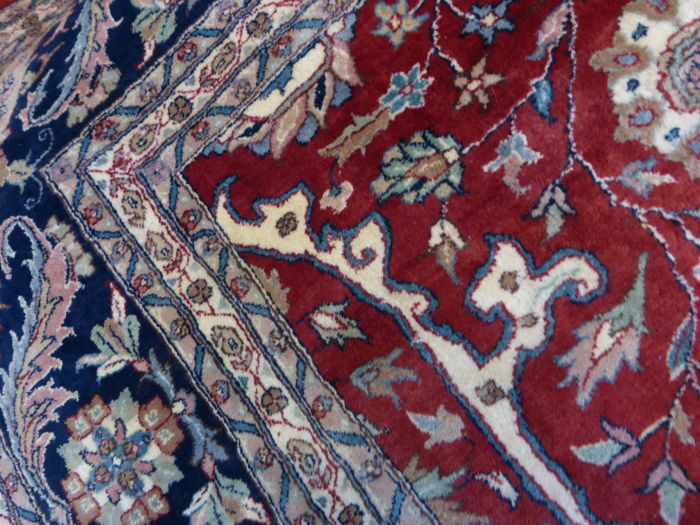 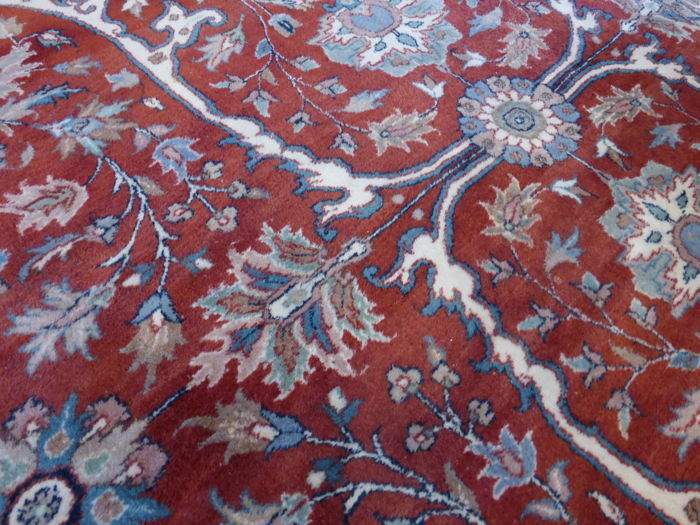 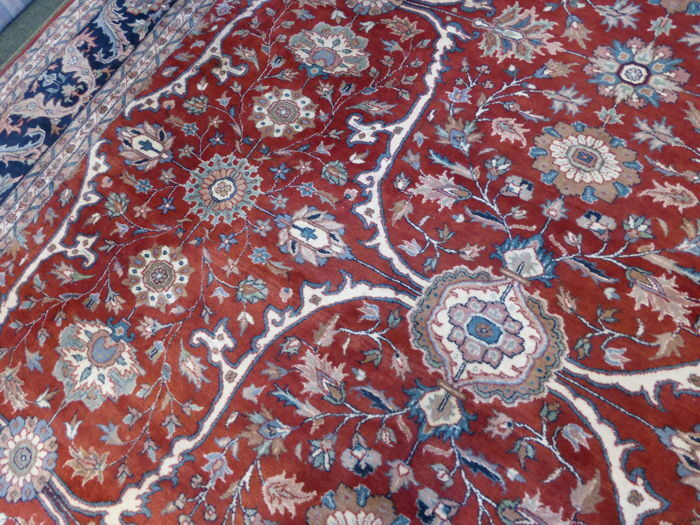 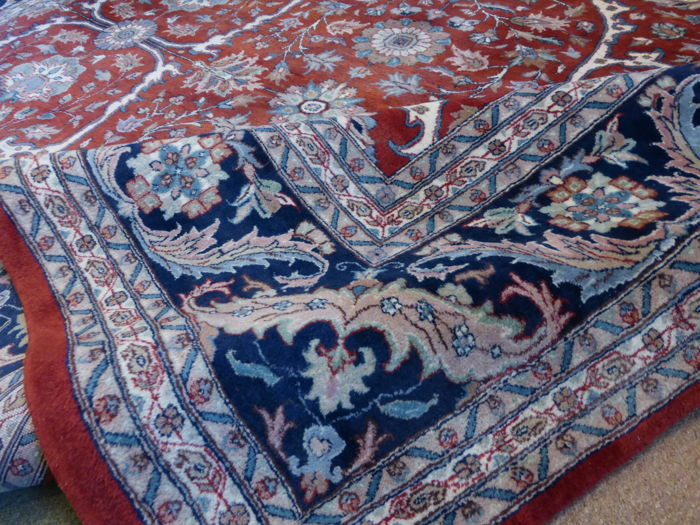 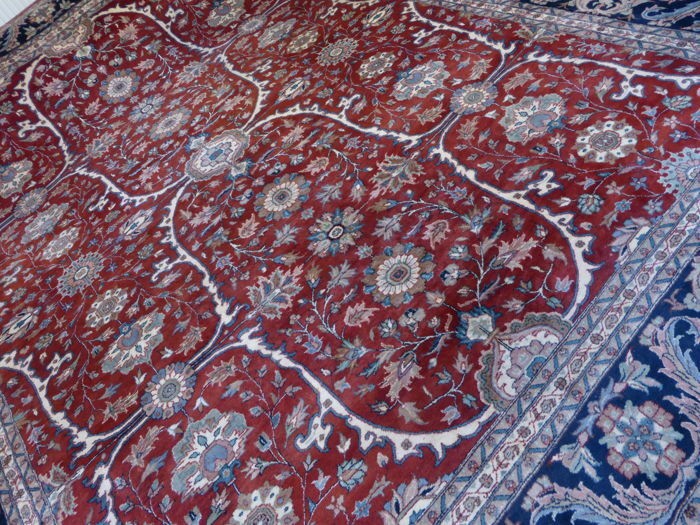 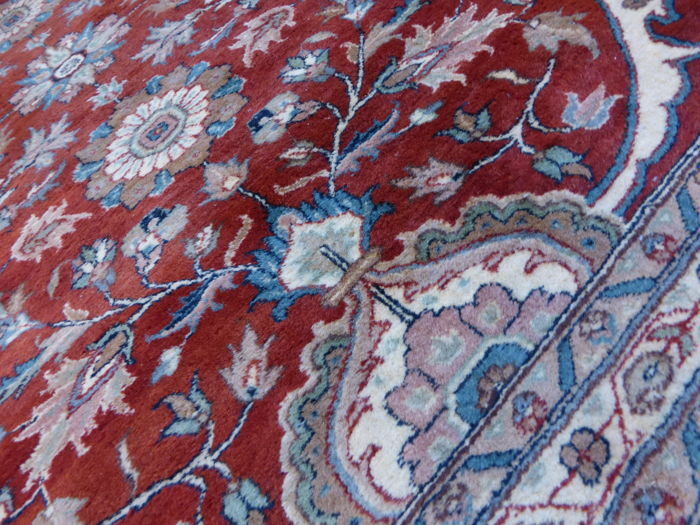 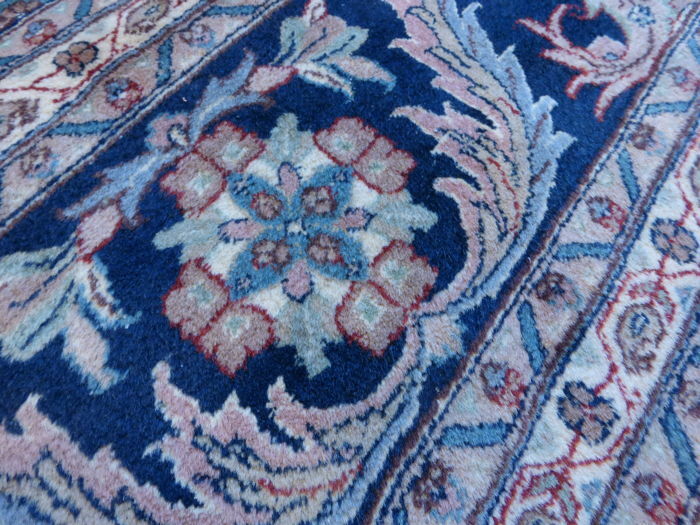 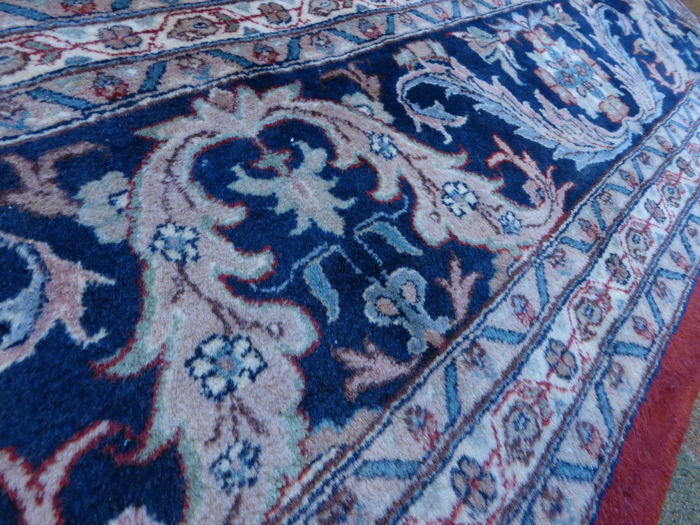 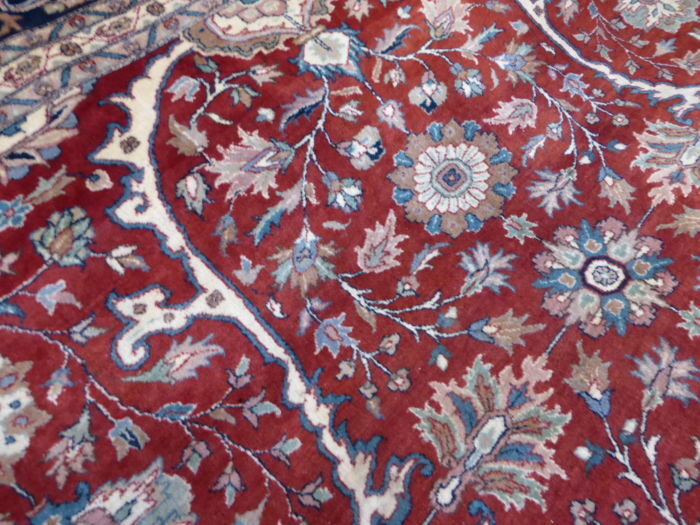 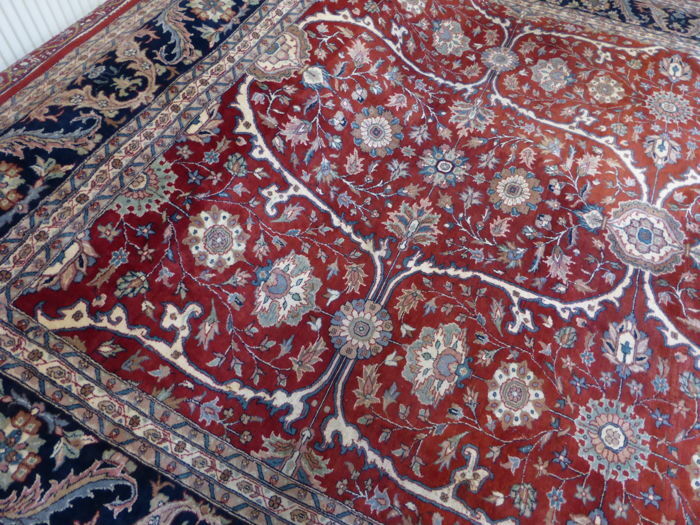 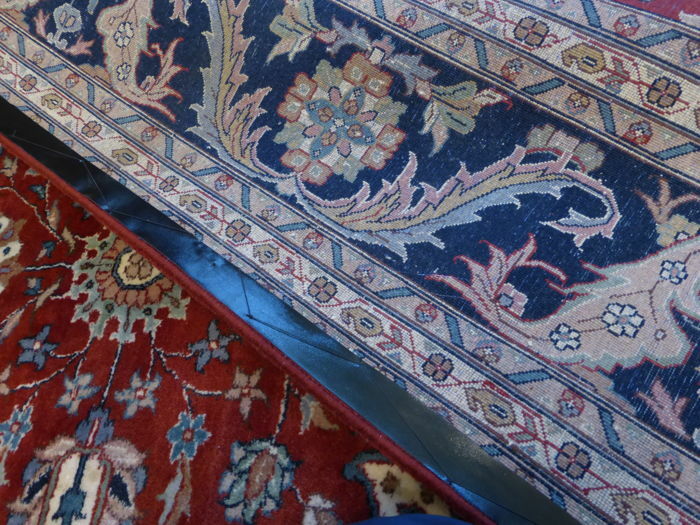 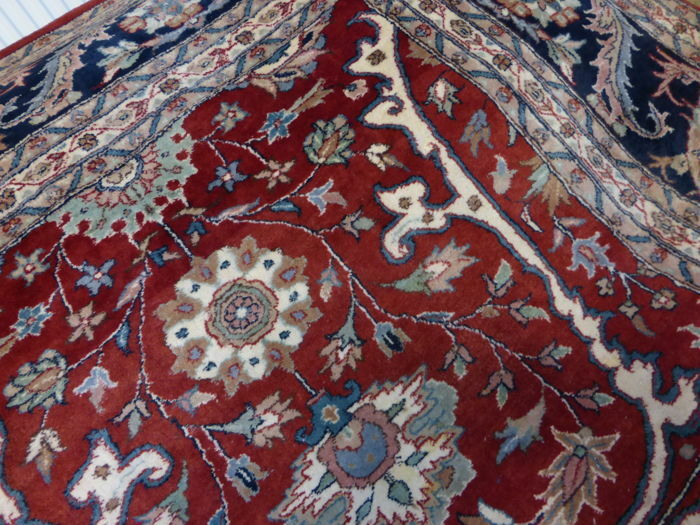 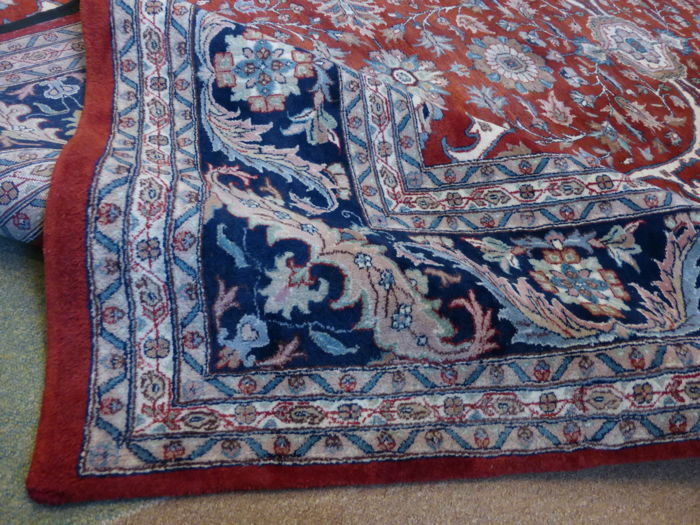 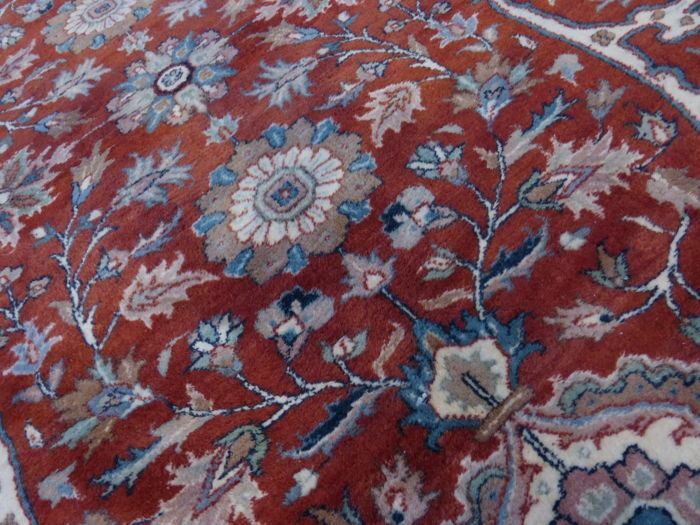 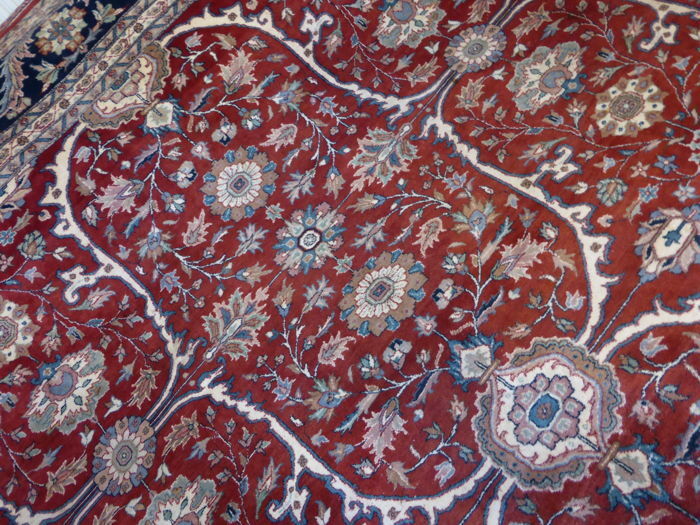 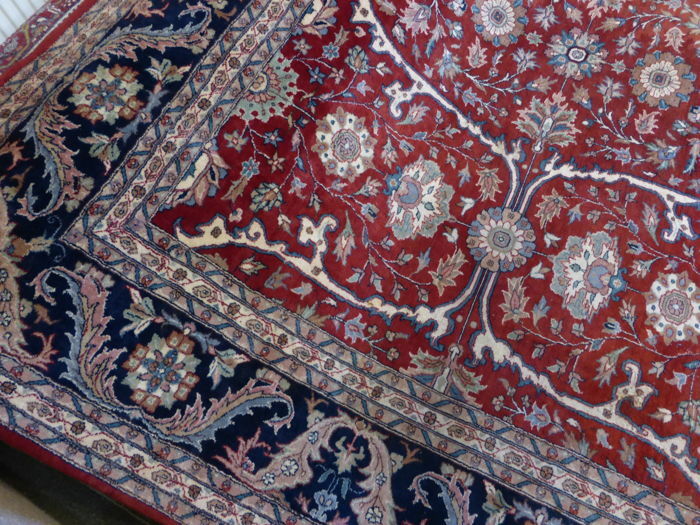 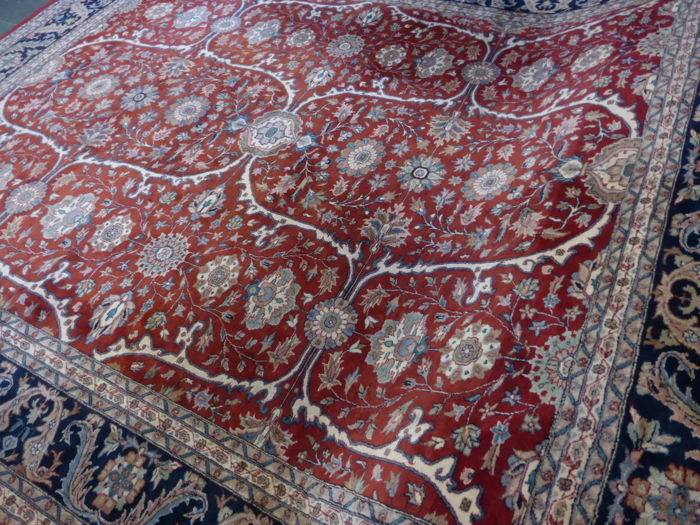 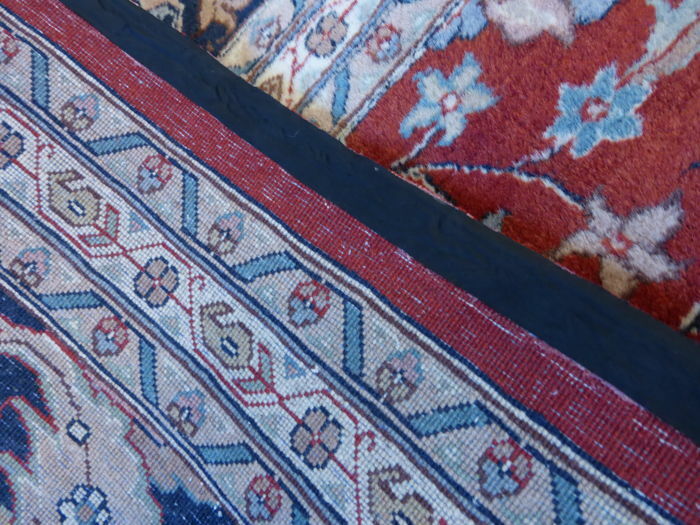 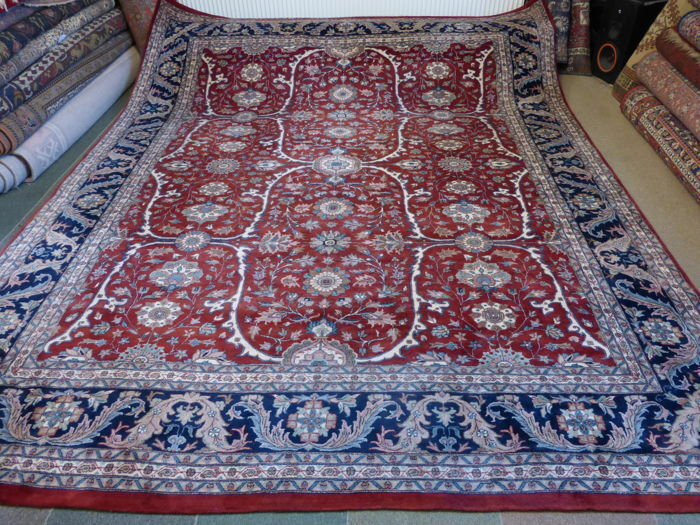 Beautiful hand-knotted Indian rug made of glossy wool in very good condition. 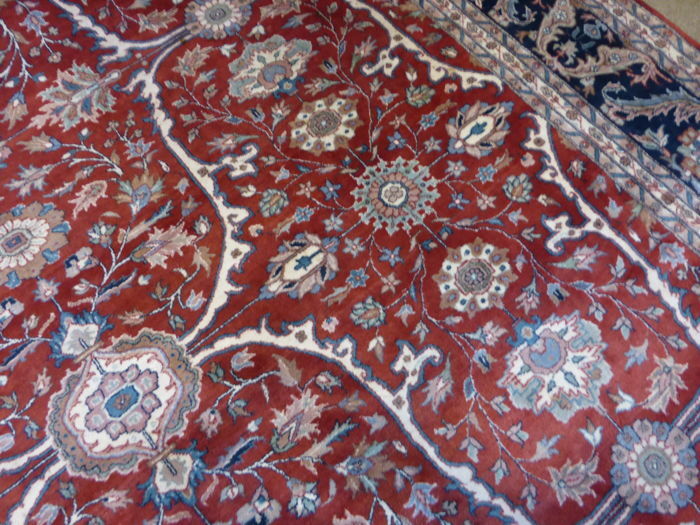 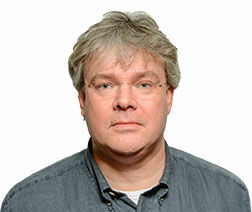 Please look at the photos. 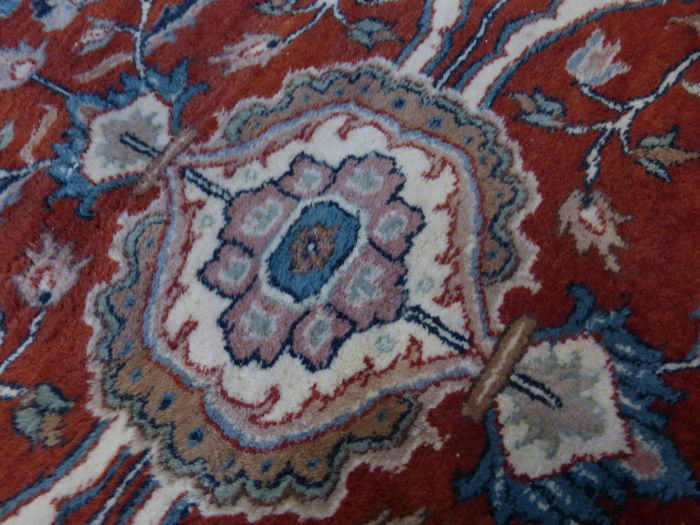 The rug has no fringe. 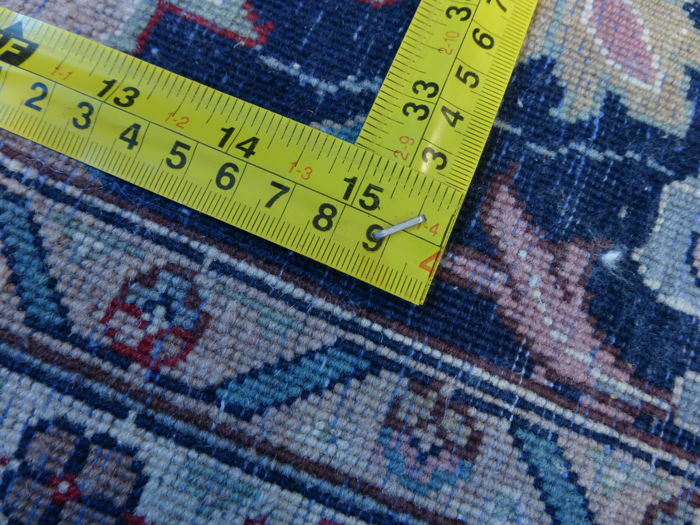 It was professionally removed.